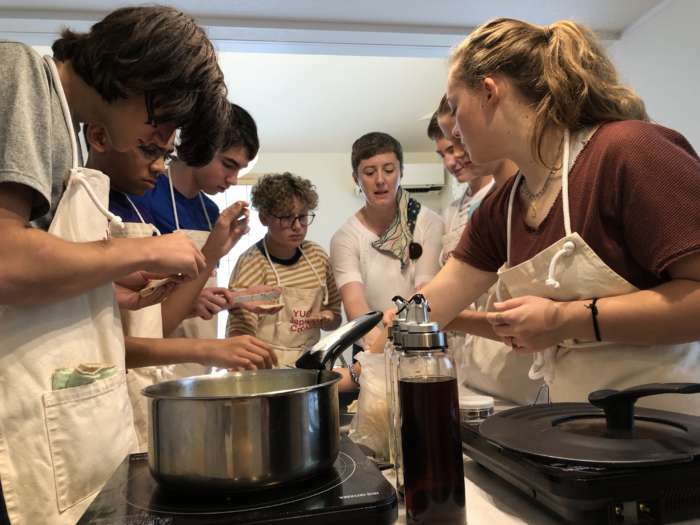 The other day, students from USA joined our cooking class. 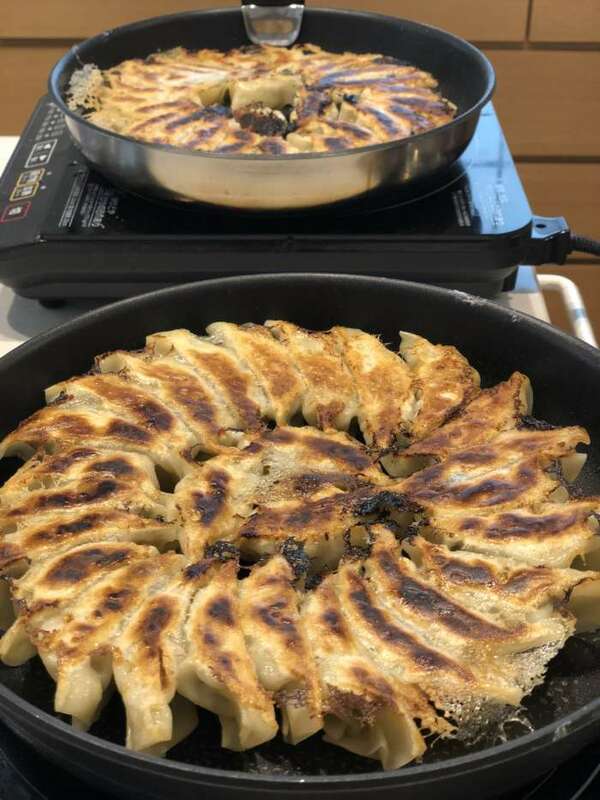 So we made TWO gyoza pizzas for 9 guests. And…of course…it’s all gone!!! 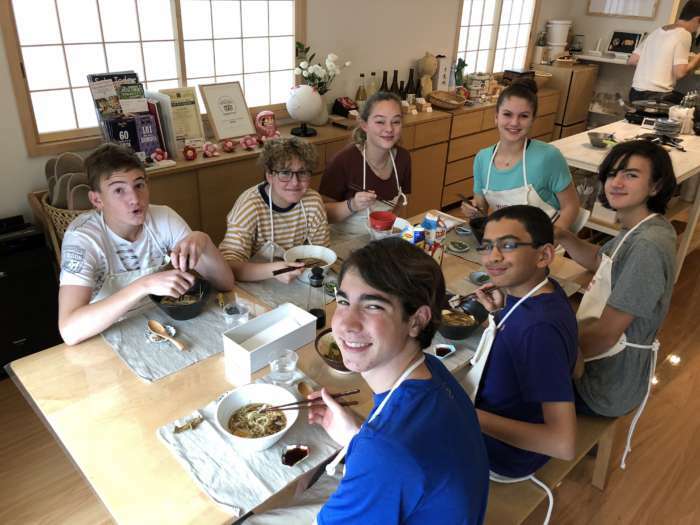 It’s always nice to see student guests learning new Japanese food! Student guests are so passionate and so smart. They’ll do different activities while traveling Japan.